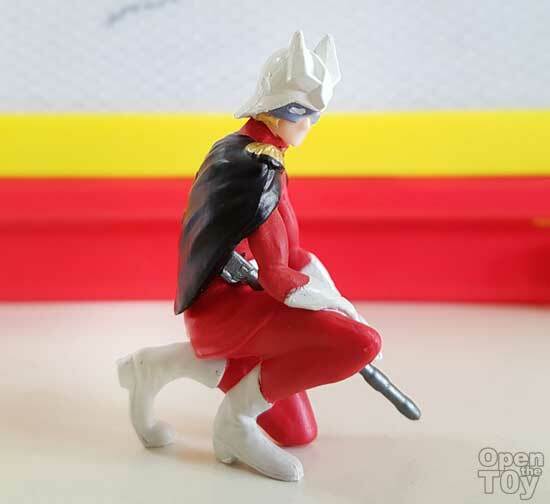 I am quite a fan of Char Aznable as a character in the UC Gundam series. So when I went for some toy hunt and saw there is a Gashapon or capsule machine with these, I cannot help but to give it a try. 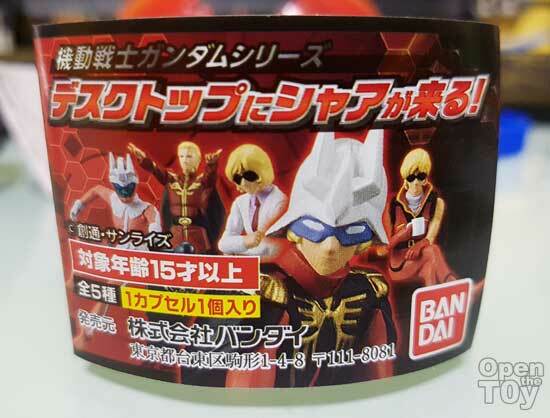 There are 5 Char in this series and they look really cool! 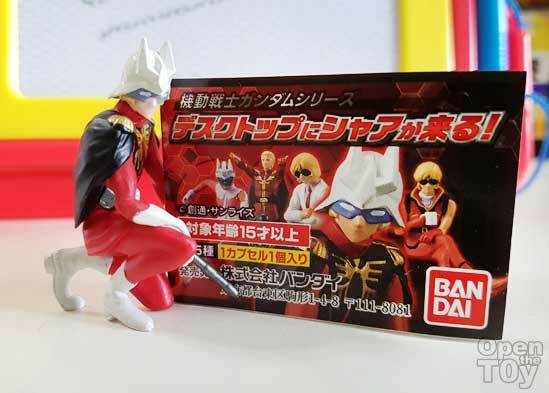 These are desktop display figure that around 3" and these series they are design for some function. 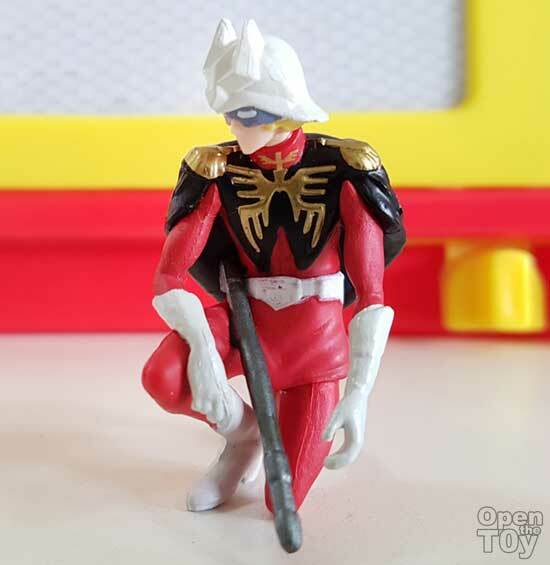 Like this Char in full uniform and outstretch arms could hold up paper clip or something lightweight. 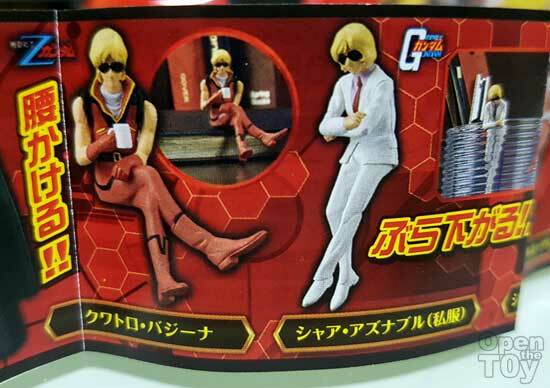 There was another Char sitting down which is from Gundam Zeta series and a cool white business suit of Char which look so charming. 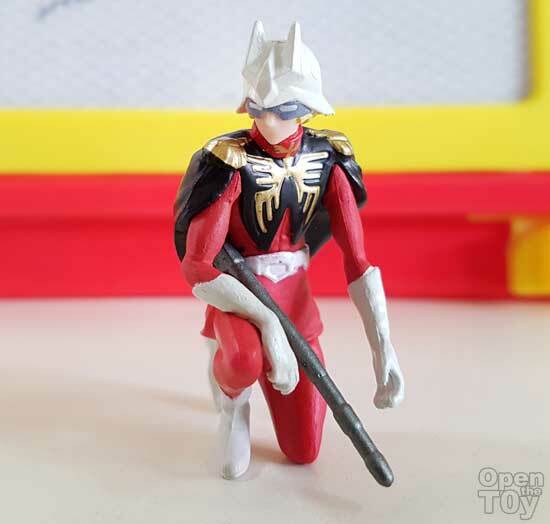 If you are a fan of Char wearing helmet, there was one with a space suit and another with his signature helmet with his uniform. So which Char did I get for just 1 try? Lady luck was with me that day. I got the full uniform with helmet!! He carry a rifle as well! 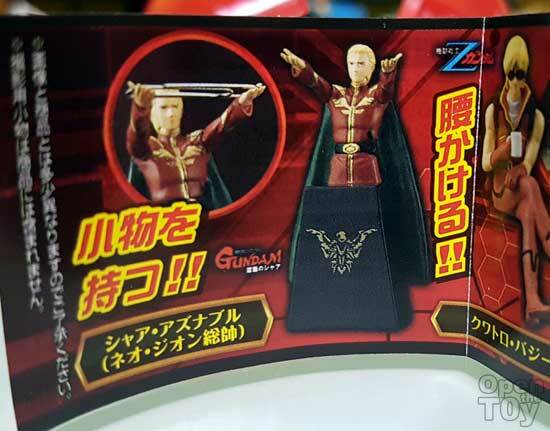 Quite rare to see Char armed. 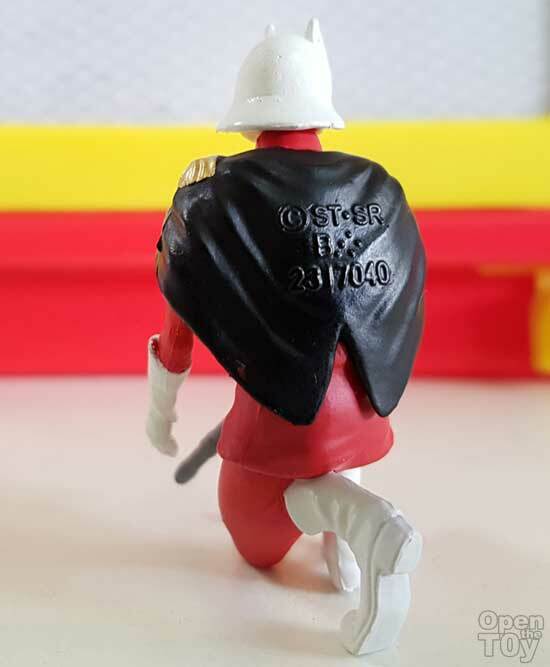 Being a small figure, the detail of Char was there and although the color paint when zoom in can be better, it is still a cool looking figure. At the back of his cap was the trademark of the company number. The figure do look good in 360 degree view as a whole. This figure was suppose to be single card holder as the arm and the gun would kind of clip the card to get it to stand straight. I may try a few more time if I happen to see this capsule machine again. How do you find this series? Are they good as desktop display figure?